When you file a personal injury claim with an insurance company, it’s important to provide certain documents to your Long Beach car accident attorney and maintain clear communication with him until the case is resolved. Medical records and doctors’ bills are some of the materials that will substantiate the injuries you sustained in the accident. The paperwork will also help your attorney calculate the amount of compensation you should receive for your financial losses. Your medical records are a crucial part of your personal injury claim. They state what your injuries are and the type of treatment recommended by your doctor. 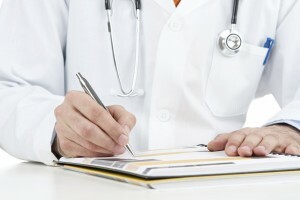 Forward copies of your medical records to your Long Beach car accident lawyer. Your attorney needs to review these documents in order to understand the full extent of your injuries and how long it will take for you to recover. While you are receiving treatment for your injuries, the healthcare providers will likely give you bills, invoices, and statements that list the type of services you received and how much they cost. Keep receipts for any prescription medications, medical equipment, and other related items that you purchase. You should also record any transportation costs you incur as you travel to and from doctors’ appointments. Send copies of those bills and receipts to your attorney so that he can assess all of your medical expenses. Having this information will enable your lawyer to evaluate how much money is needed to sufficiently cover your past, present, and future medical expenses. Keep a journal where you document the mental and physical problems you are dealing with as a result of the accident. When your Long Beach personal injury attorney asks you about your symptoms and how the injuries have impacted your life and relationships, it will be easier to recall those details if you write them down. List specific examples of changes you have gone through since the accident such as feeling pain in your legs when you try to walk for an extended period of time, sleeping disturbances or difficulty remembering names and places. If you have been injured due to the negligence of others, you may be entitled to receive compensation for your damages. Russell & Lazarus APC aggressively fights on behalf of their clients and gives them the personal attention they need. Call us today at (949) 851-0222 to schedule a consultation with an experienced Long Beach car accident lawyer.